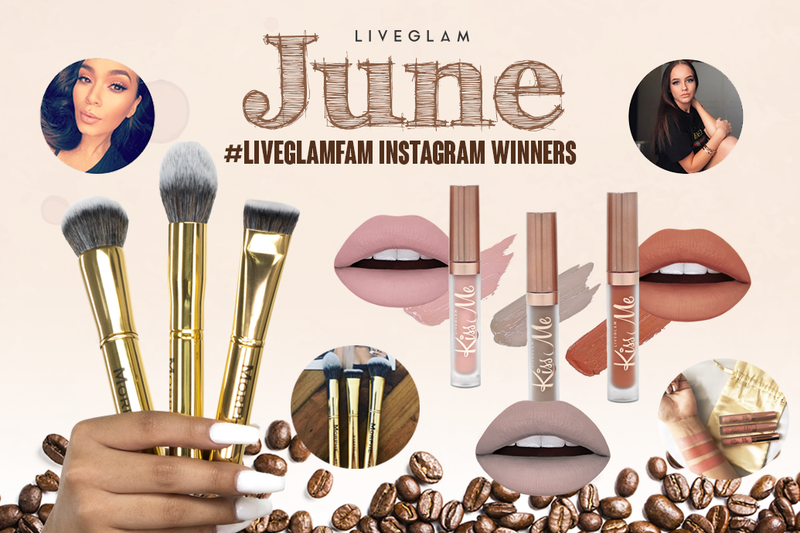 June #LiveGlamFam Instagram Giveaway Winners! What’s a sizzlin’ summer without gorgeous lippies from our LiveGlam Lippie Club, KissMe, or quality brushes from our Brush Club, MorpheMe?! Don’t have those? Our #LiveGlamFam can’t relate. These babes have been slaying the season so far, so it’s time for them to win some gla-mazing goodies from our monthly giveaway! If you’re a member of our fam, don’t forget that you can always enter our giveaway every month! Just snap a photo of your KissMe lippies or MorpheMe brushes and post them on your IG with the hashtag #LiveGlamFam. We choose 10 winners at the end of every month to win! Just make sure your profile is public on the last day of each month. For a chance to win next month, make sure to join one or more of our LiveGlam clubs! Brush up that makeup kit with MorpheMe, where you’ll get 3-8 new Morphe brushes every month. Or, join our LiveGlam Lippie Club, KissMe, and get 3 new beautiful shades delivered straight to your door every month. Also stay tuned for our brand new Eyeshadow Club, ShadowMe, coming very soon! Each club is only $19.99 a month! Once you join, make sure to tag us on IG with your photos to enter!